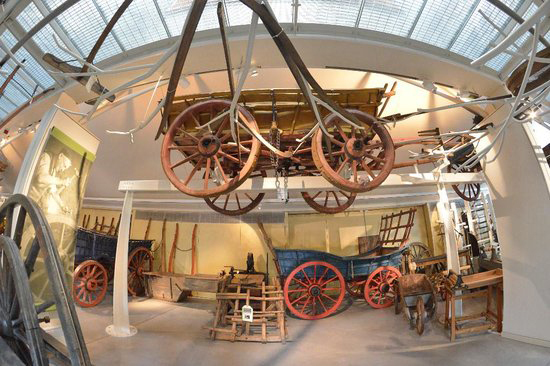 Following a £3 million redevelopment project, The Museum of English Rural Life at Reading University reopened with newly transformed public displays that challenge perceptions about rural England by revealing the historical and contemporary relevance of country life. The rejuvenation of the museum, completed in October 2016, features nine new interactive and immersive galleries, centered around the concept of ‘Our Country Lives’. Stories are narrated through memories, archive film and photographs of rural life in England. Working with GuM to deliver the creative designs, the installations successfully enhanced the various exhibits on display adding another dimension to the showcase. As people explore the galleries, they have the opportunity to gain further insight through interactive displays, video projections and audio installations. One of the highlights includes a large, table-top ‘social’ interactive game using projection, that allows for multiple players to participate and engage simultaneously. This offers visitors the chance to appreciate the impact of personal decisions on the countryside. Collaborating with Kiss the Frog (Amsterdam) on the media commissioning also ensured that engrossing visual content was presented across all gallery displays. Kate Arnold-Foster, Director of MERL said: "We felt previously that some objects were self-explanatory but now we've realised they need more explaining, and we have embraced digital media throughout this new project by including various interactive elements." Penny Richards of Pringle Richards Sharratt Architects (GuM Studio) said: "Our vision was to create opportunities to explore the collection through a series of interpretive ideas and themes. "Each is contained within a newly created architectural space, providing a stimulating visual experience and showing the collection in an innovative and intriguing way."